Video shot by a bystander appears to show the shark bite victim. 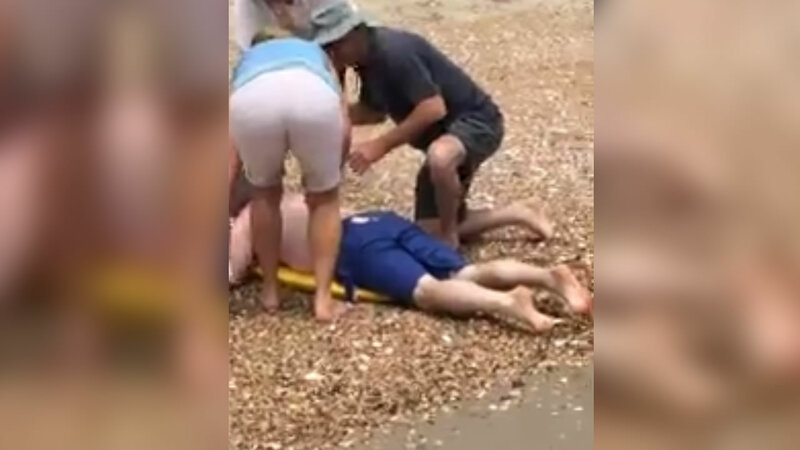 HATTERAS ISLAND, N.C. -- Video shot by a bystander near the Avon Fishing Pier on Hatteras Island appears to show a man getting assistance after being attacked by a shark. The man's injuries did not appear to be life-threatening. The Outer Banks Voice reports the 47-year-old man was bitten repeatedly on the back around 11:40 a.m. He was flown to a hospital in Norfolk for treatment. Several children have been the victims of shark attacks along North Carolina's coast this month including a 13-year old girl and 16-year old boy who both lost limbs about 90 minutes apart at Oak Island.